Marquee lights. Stunning & affordable. 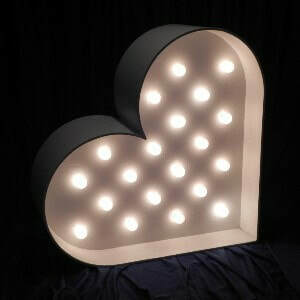 Our giant marquee lights are our most popular rental, and you can see why! They add sparkle and ambiance. 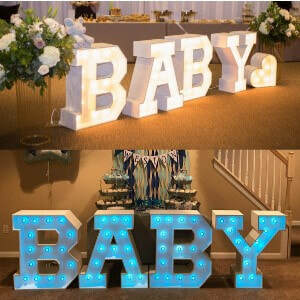 They light up your venue with romance for weddings and add an element of fun at baby showers, parties and dances. And they definitely make a statement! Check with us today to see if they are available for your event! 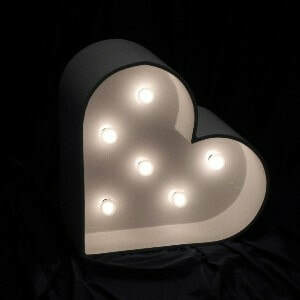 Note: Lights cannot be shipped due to size, inventory restrictions, shipment cost, and turnaround time. 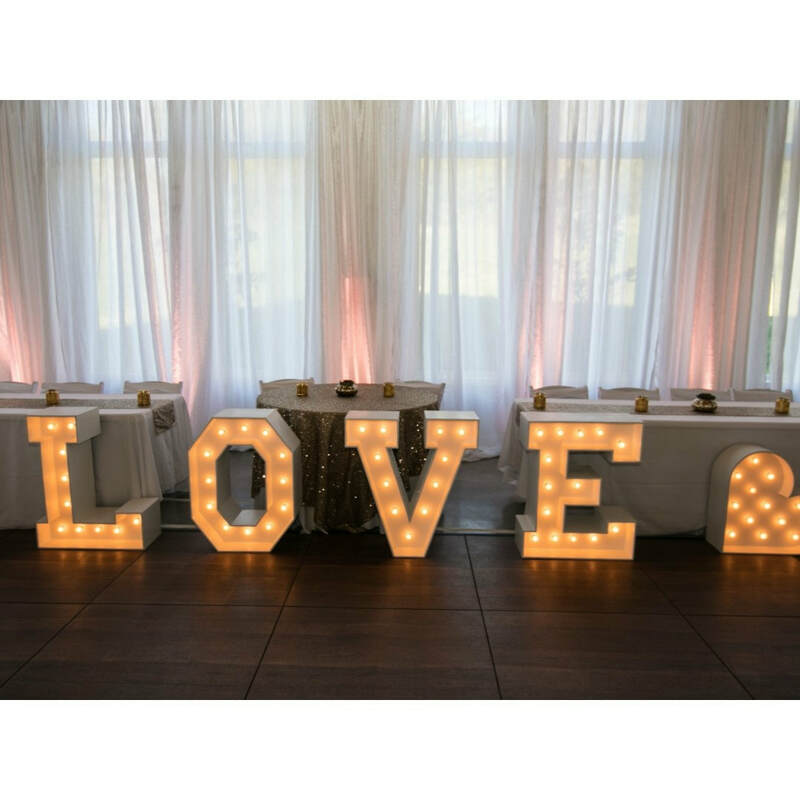 These marquee lights are a perfect fit to place in front of a sweetheart table or bridal table. 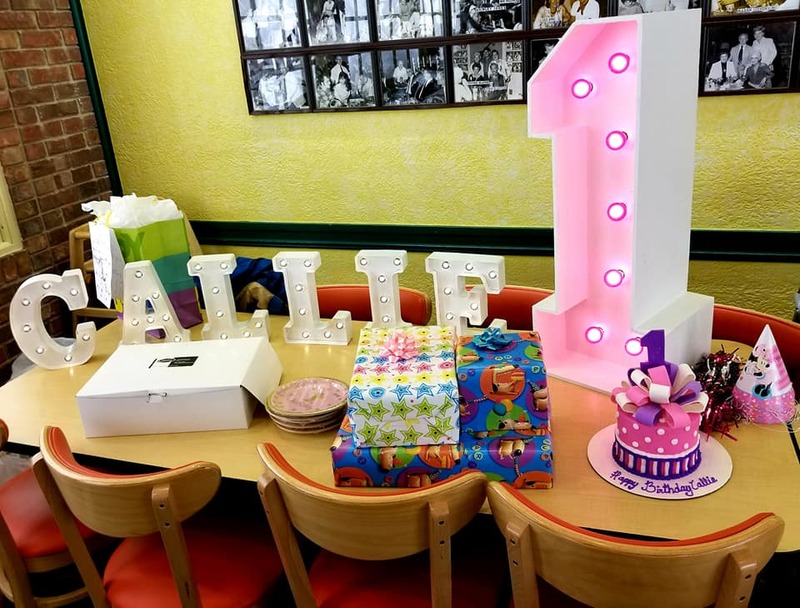 Their height allows for table decor to be seen. 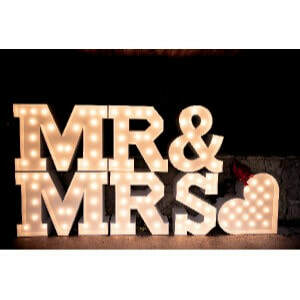 They also make amazing decor to light up a dance floor! 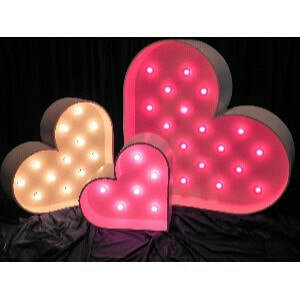 Light up your dance floor with our 36" LOVE marquee lights! 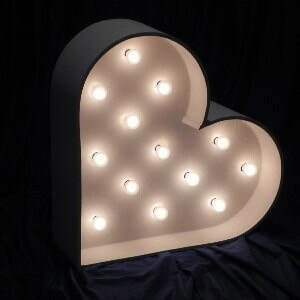 A unique decor piece that adds ambiance and fun!